For your convenience, we offer online appointment scheduling from the comfort of your home or mobile device. We perform minimally invasive procedures specializing in varicose vein treatment, lymphedema treatment and laser skin care. Our passionate team are pioneers in the treatment of varicose veins, and ensure outstanding care with every procedure. 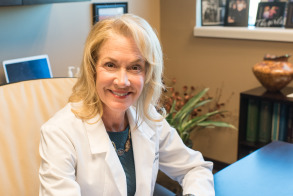 Meet our board-certified vascular surgeon and vein specialist, Dr. Sharon Hammond. Browse our video library to learn more about our treatments at Specialized Vein Care. Schedule an appointment online with one of our vein care specialists. At Specialized Vein Care, we are passionate about providing a variety of vein and skin care treatments in the Greater Denver area. With over thirty years of experience, our team delivers exceptional, effective treatments. We provide a range of services, including treatment of lymphedema, varicose veins, injection sclerotherapy for spider veins. We are the first vein care center in the Denver area associated with a medical hospital. As a result, we operate with state-of-the art equipment, expert medical professionals and a complete support facility, ready to manage any number of unique variations in treatments. 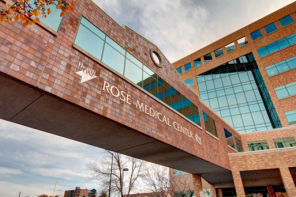 Utilizing the state-of-the-art facility at Rose Medical Center campus, our team is able to perform minimally invasive procedures. All procedures are handled with a staff member specializing in vein care treatment and dedicated to delivering exceptional medical care to every patient. Our practice also offers expanded services, including skin care, and cosmetic laser therapy for skin rejuvenation. With affordable proactive treatments, we are able to help you look your best. Our laser skin care treatment is proven to help improve tone, texture and pore size appearance. The treatments are simple, and provide lasting results.